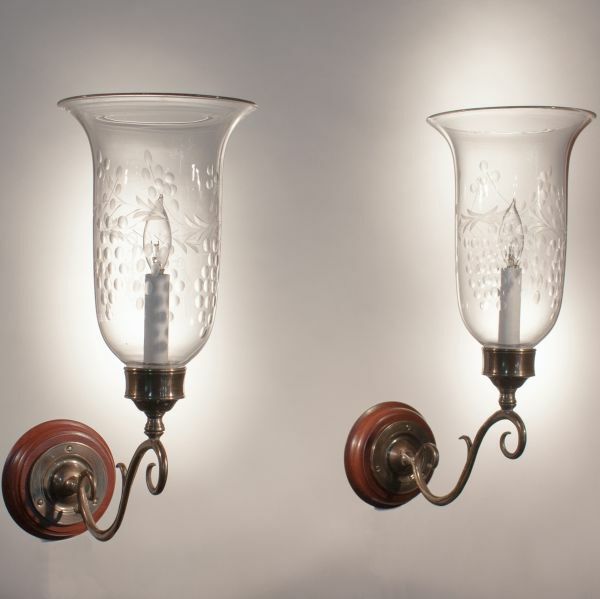 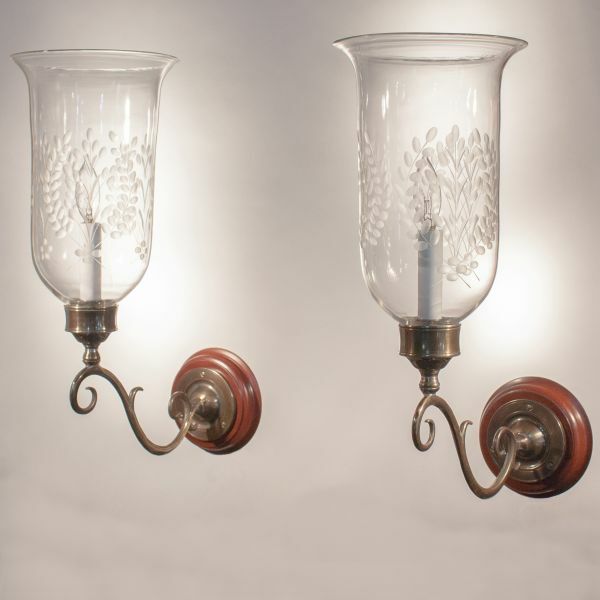 19 C. HURRICANE SCONCE SHADES AND SHIELDS ADD SOFT LIGHT AND ELEGANCE TO ANY SPACE. 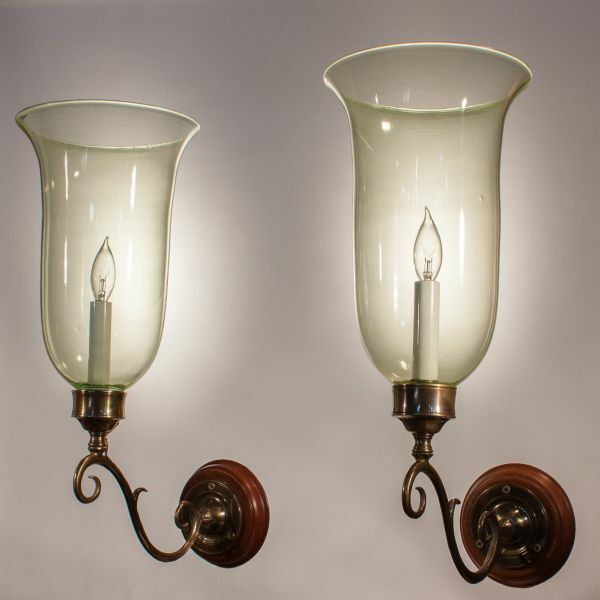 Fair Trade’s outstanding collection of 19th century hand blown English hurricane sconce shades and shields add light and grace to any interior. 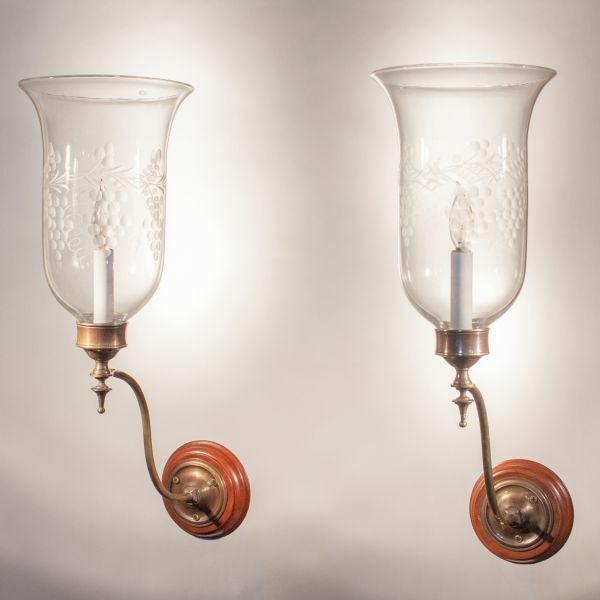 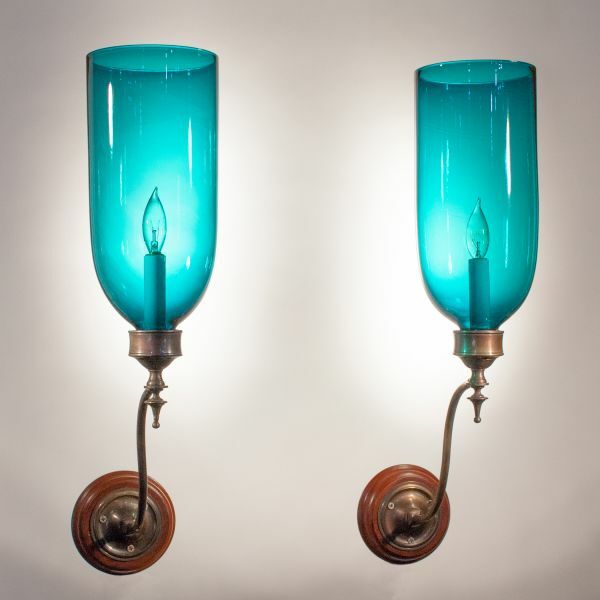 Clear, etched and colored pairs of antique wall sconces are available in various shapes and sizes, along with custom-made brass sconce arms to complement the shades.